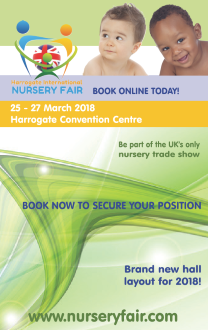 Harrogate International Nursery Fair is a not-to-be missed event for anyone in the baby products industry and is the UK’s only nursery trade show. This takes place each March in the beautiful North Yorkshire town of Harrogate. The Baby Products Association has a close working relationship with the show and stages its Baby and Nursery Trade Awards (BANTAs) and also the Concept & Innovation Awards at the show (more information can be found about these in the Awards section of this website). 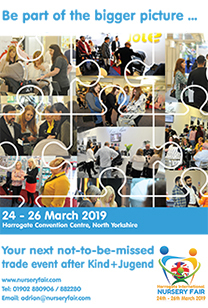 Association members exhibiting at Harrogate International Nursery Fair receive a significant discount, which depending on the size of stand and whether it is shell scheme or space only, can be between 12 and 17 per cent.